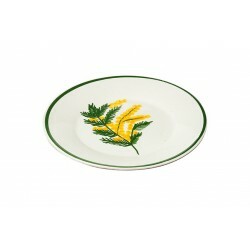 A hand-painted gold rain falls on this tableware entirely hand-painted. 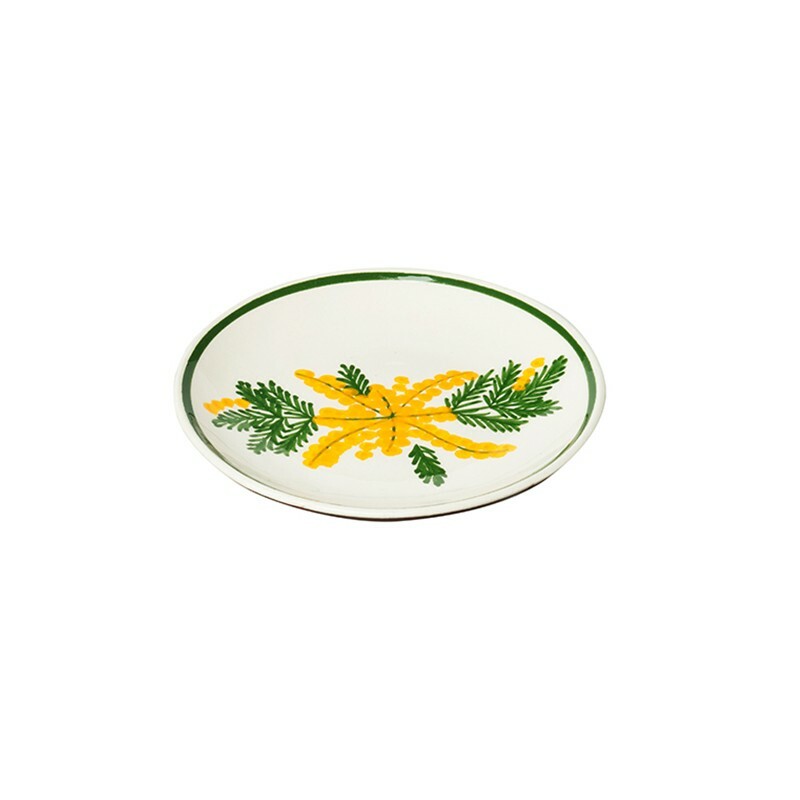 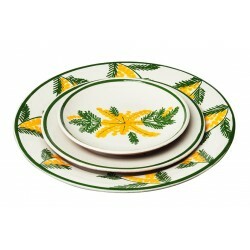 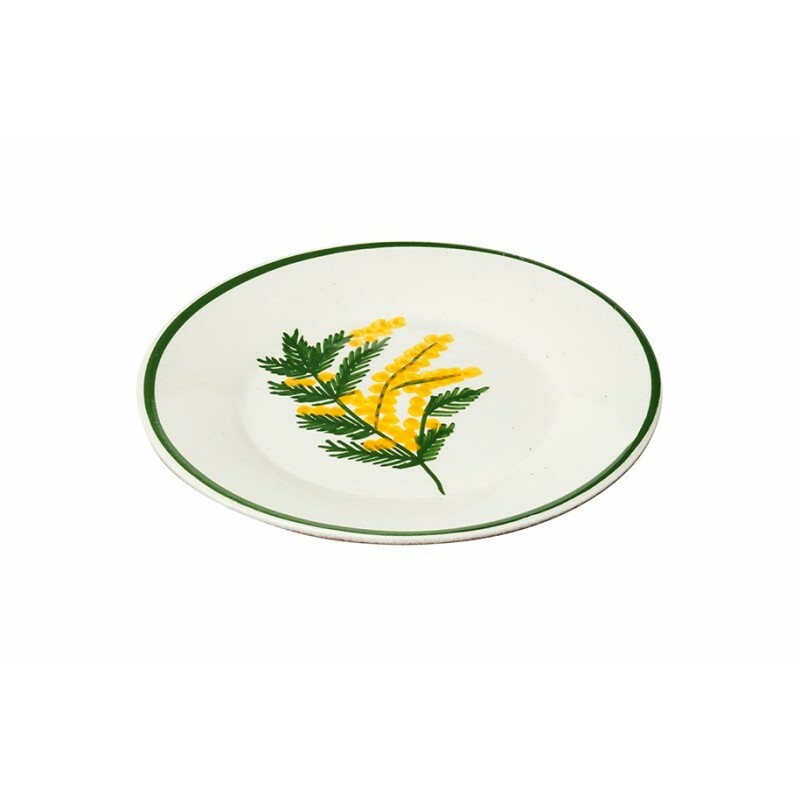 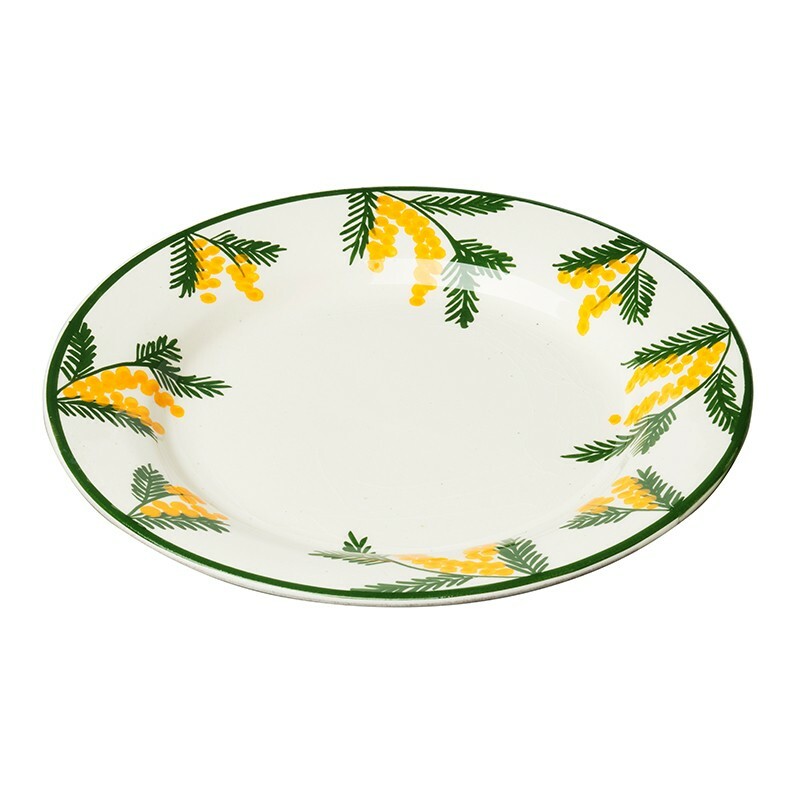 On their perimeters, the large plates and the dessert plates let explode garlands of branches; the bread plates show in their center yellow pompons with green branches. 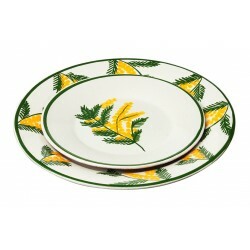 An exclusive collection, fresh and delicate, that brightens all the tables where it exposes itself.